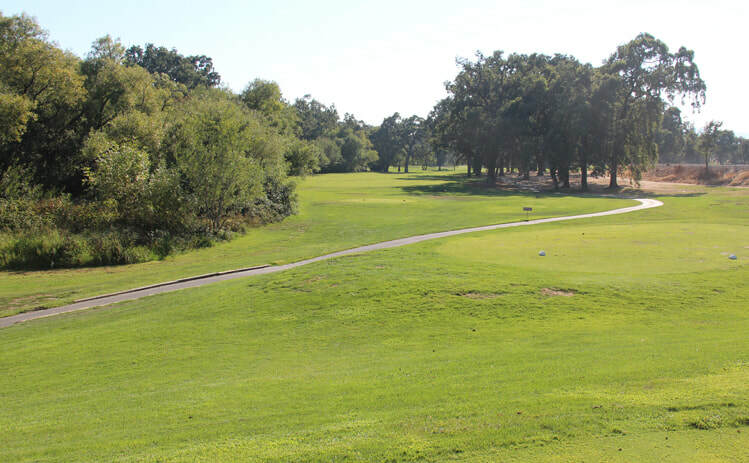 Windsor Hole 2: This par four is pretty long and has the most difficult drive on the course with heavy trees to the right and hazard to the left. It also plays as a little dogleg right, which makes the driving angle tough as well. Windsor Hole 4: This short par five has a wide landing area. 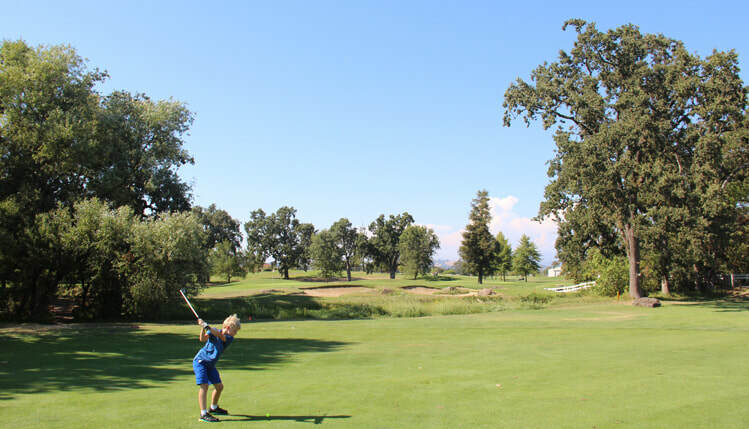 A big drive can give the player the option of flying the trees to the right to the narrow green fronted by a pesky bunker. The ideal lay-up is long and left, which leaves a straight angle to most pin placements. The green has strong breaks in most locations. 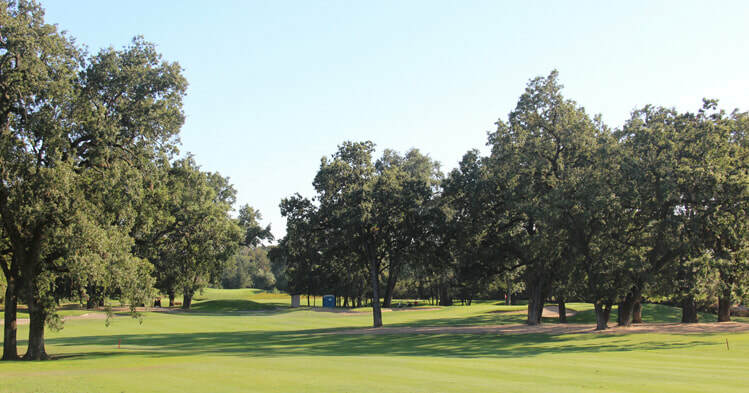 Windsor Hole 5: The first par three of the day has a tough shot over a hazard with trees and more hazard to the right. The left pin placements are significantly less dangerous than those to the right. Windsor Hole 8: This downhill par four needs a drive to be placed between the lake and the bunkers. 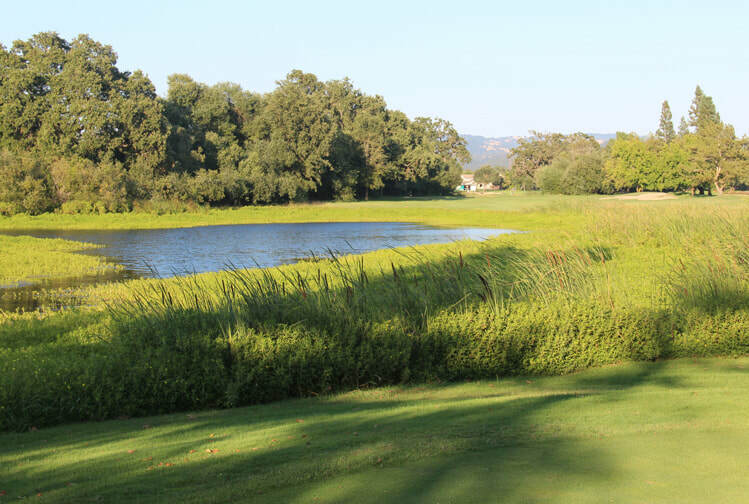 A longer drive is ideal as the approach is to a green that is shallow on the other side of the water, so a higher, softer short iron shot will increase the probability of getting close to the hole. Windsor Hole 9: The drive on this par five needs to be accurate to avoid a more difficult second shot over the hazard. There is no room to the right over the hazard and some to the left, but there are enough trees on both sides of this hole from tee to green to make accuracy a real premium for a good closing score to the front nine. 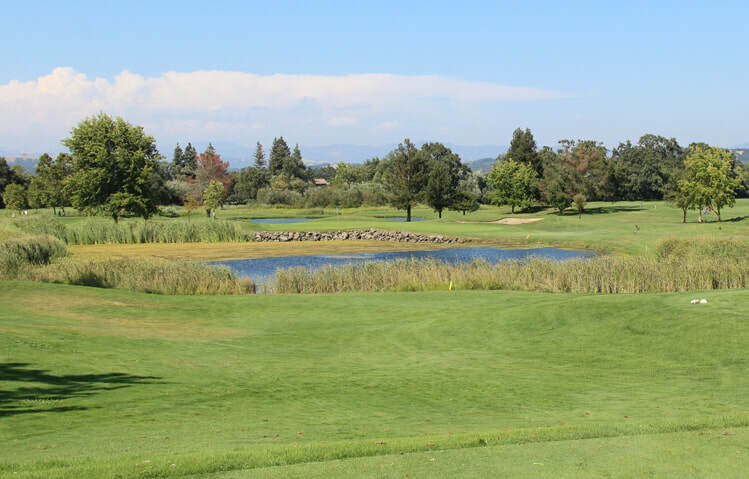 Windsor Hole 12: The tee shot on this par four needs to avoid the lake to the left. It can be flown with a big drive but there is OB left as well. The green is elevated and well bunkered in front. Windsor Hole 13: This downhill par three will feature a shot that spends a lot of its time over water, so distance control is key. 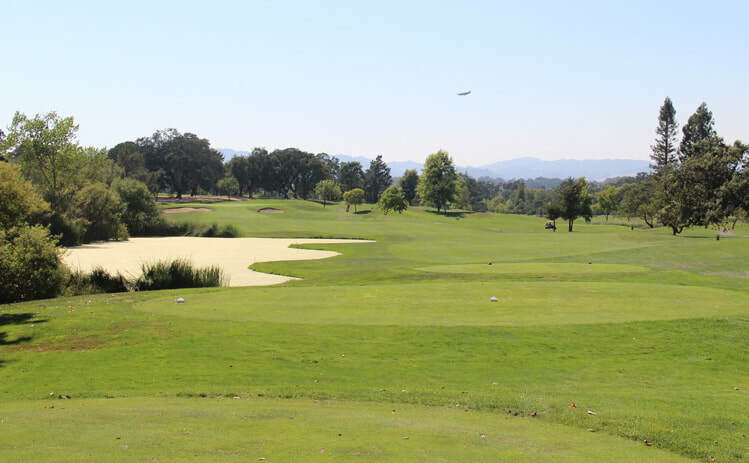 the green is wide and angled, which can leave some long and awkward putts. Windsor Hole 14: This short, uphill par four is one of the better such holes around. 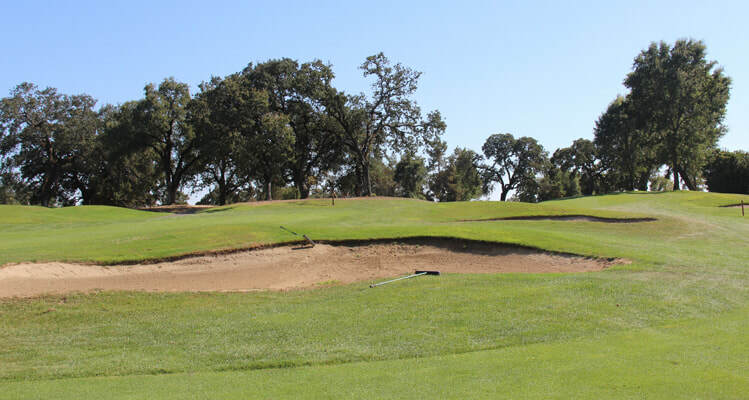 The bunkers cut through he fairway give the golfer a multitude of driving options to their left and right, short and long. The approach is uphill enough to be blind to the putting surface but the flag can be seen. The green is long and very narrow with a steep drop off to the left, leaving a tough prospect for up and down, so player needs to trust his line from the fairway. 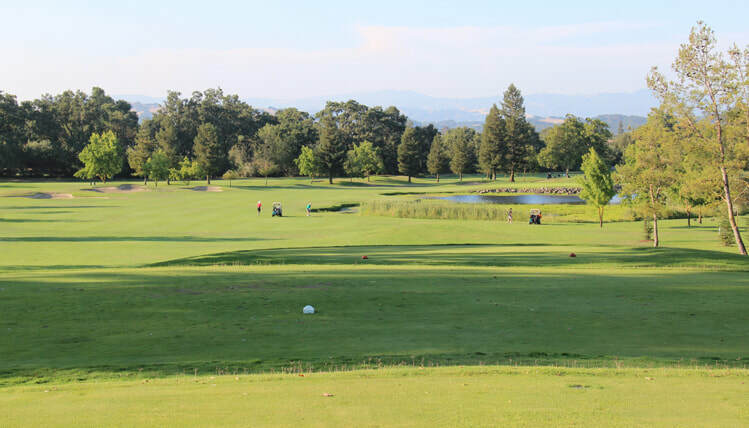 Windsor Hole 16: This short dogleg left requires not much length, but the green is so shallow from the fairway that even wedges can be tough to hold in certain winds. 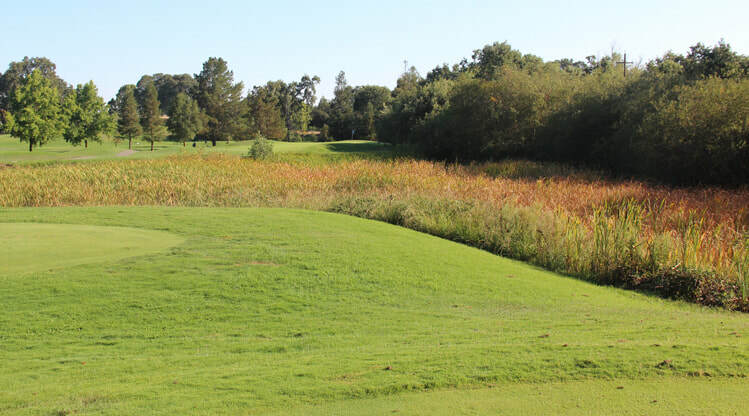 The player can try to bomb it over the corner of the dogleg to the green as there is a lot of real estate on the other side of the hazard, but the trees are tall and it's still at least requires some luck (or extraordinary skill) along the way. 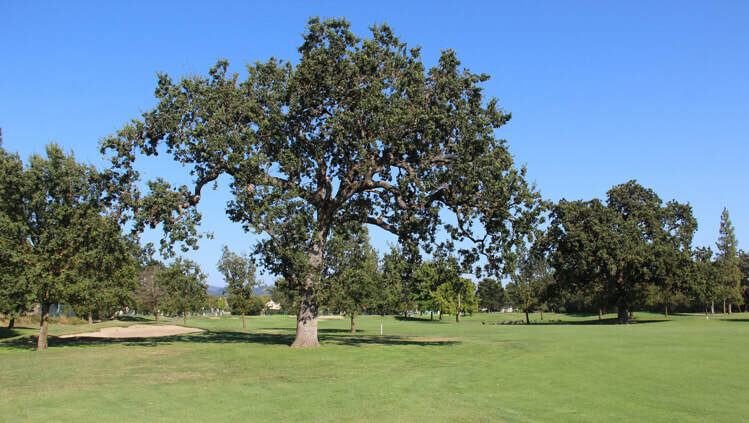 Windsor Hole 18: The final hole is fairly straight forward but features a beautiful tree just left of the fairway that can come into play for shots even hit to the left side of the fairway.